Transform to a modern hybrid infrastructure with converged, hyperconverged, and composable infrastructure solutions from Hewlett Packard Enterprise. Over the fourth of July holiday, I was sitting with a few friends discussing the bevvy of summer vegetables and fruits that were available this time of year. 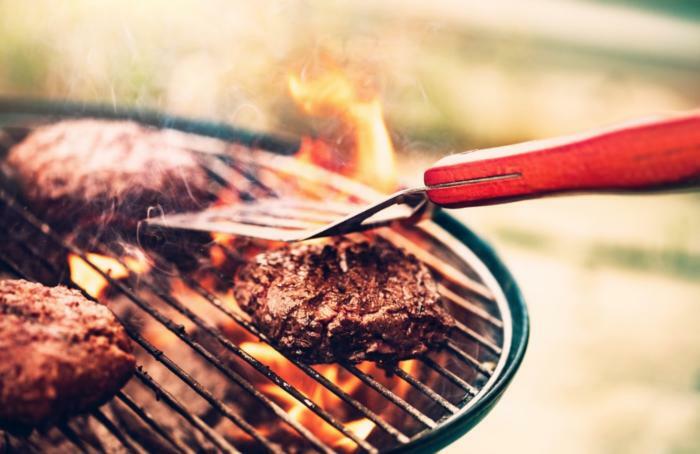 One friend absolutely lamented cooking at all in the summer – “it’s just too hot!” After some back-and-forth, another friend introduced us to his two rules for cooking during the summer months: Keep It Simple and Don’t Overspend. As an enthusiastic summer chef, he resisted filling his grocery basket with unnecessary items, and while he did spend a little more for higher quality food, he only needed a few ingredients, which kept overall costs low. The same two rules can be applied to data center modernization. When technology needs an update, some organizations choose to modernize over time, following the same problem-by-problem approach they used to build the original data center. This piecemeal approach is complex and can be agonizingly slow. What’s worse, just like complexity in the kitchen, all that time and effort won’t necessarily lead to a better end product or even lower costs. Switching to hyperconverged infrastructure (HCI) can simplify your data center and keep costs down. HCI takes a building block approach to architecture, consolidating compute, storage, network switching, replication, and backup in a single integrated system. The consolidation of these IT functions onto virtualized hardware can greatly simplify environments that have been divided by siloed point solutions. VM-centric HCI systems are also simple for IT administrators to manage, and it requires much less data-center space than traditional IT devices. One HCI customer, St. John’s Riverside Hospital, had been running its existing infrastructure environment for seven years and were quickly running out of physical space, restricting their ability to grow. What really sold the hospital on hyperconverged was the simplicity and ease of management from a single console. Hyperconvergence requires some upfront investment, but it can deliver a huge return on that investment. In this study based on research with real world customers, Forrester Consulting found that HCI reduces TCO by 69% on average compared to traditional IT. Converging the entire IT stack – firmware, hypervisor, and data virtualization software – has additional advantages, according to that same study. Data center footprint can be reduced 10:1, backups and disaster recovery become simple and straightforward, and upgrades are managed for the whole stack. The most efficient solutions also free up significant staff time, boosting the economic benefits even further. IDC reports an 81% increase in time available to focus on new projects as a direct result of hyperconverged deployment. A direct-sales organization based in California was intrigued by hyperconverged’s simplicity. Princess House was plagued with aging IT systems that were becoming increasingly inefficient and costly. They deployed an HCI solution to reduce complexity, and in the process they dramatically improved application performance and reduced total cost of ownership. Both of these customers did extensive research on industry leading hyperconverged solutions, and they both chose HPE SimpliVity powered by Intel®. The other vendors didn’t offer fully converged solutions or couldn’t match HPE SimpliVity’s simplicity and efficiency. As these businesses discovered, the results of a fully integrated stack can be wide-ranging and directly impact the bottom line. To learn more about how HPE SimpliVity powered by Intel® can simplify your IT environment and reduce TCO, download the free e-book: Hyperconverged Infrastructure for Dummies. Jesse St. Laurent is the Chief Technologist for HPE Hyperconverged and SimpliVity. He uses his 20 years of experience to engage channel partners, evaluate emerging technologies, and shape innovative technology solutions involving data center modernization. To read more articles from Jesse St. Laurent, check out the HPE Converged Data Center Infrastructure blog.